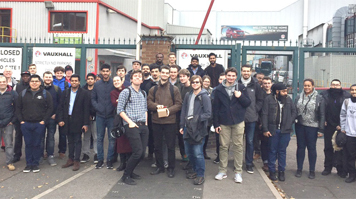 52 students, mainly in final year BEng (Hons) Mechanical Engineering and BSc (Hons) Engineering Product Design, recently visited the Vauxhall Van plant at Luton. 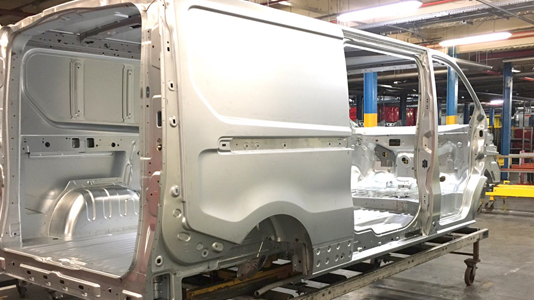 After an early start from Borough Road the factory tour spanned the 'body-in-white' stage (when all metal sheet parts have been welded together) to the final touches in the paint shop. Students were inspired by fact that the plant can produce 360 vans each and every day. 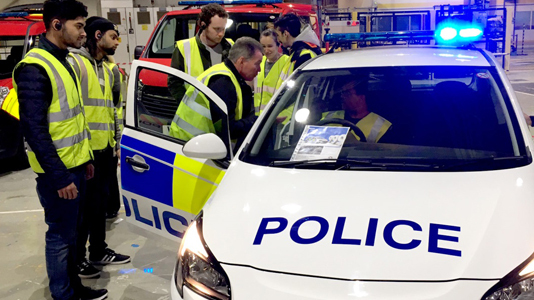 Students were also invited to see inside special purpose vehicles; standard cars and vans which are then further equipped for use by emergency services. This included 5mm polycarbonate-lined riot vans and mini-fire engines with their own pumps and lifting gear. 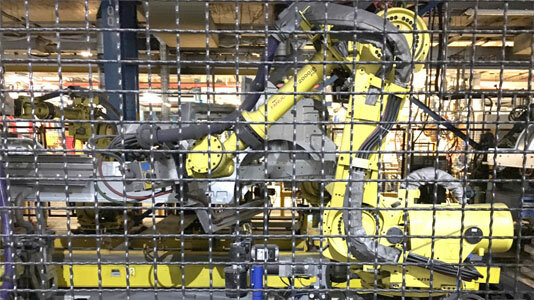 Manufacturing systems on show included robotics, sensors, control systems, pneumatics, adhesive materials and flexible manufacturing cells. The trip did a great job in backing up the engineering science and theory the students encounter in their academic modules. After the factory tour the students had a hands-on team exercise to construct a scale vehicle using the same instructions given to the assembly workers. The vehicles were then graded on build quality and accuracy on a test track. The student response was very positive and staff hope to repeat this trip in the years to come. Find out more about studying BEng (Hons) Mechanical Engineering and BSc (Hons) Engineering Product Design at LSBU.